Alert Logic researchers routinely track the emergence and use of new exploits and vulnerabilities in the wild. 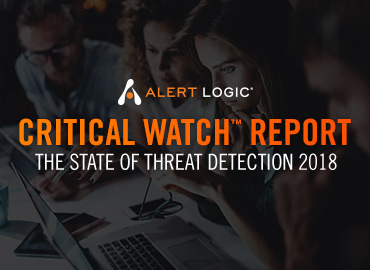 This allows us to keep up with the latest exploit du jour of attackers and provide protection for our customers for their most critical threats. We recently announced that we had observed active exploitation of a Jenkins vulnerability (CVE-2019-1003000) as well as successful compromise of customers using this vector. Jenkins Script Security plugin (versions 1.49 and earlier, bundled within Pipeline Workflow CPS up to 2.61), along with related vulnerabilities for Pipeline plugins Declarative (versions 1.3.4 or earlier) and Groovy (versions 2.61 or earlier), suffer from a security bypass condition allowing code execution of Java objects, both locally and remotely. Along with the mentioned vulnerable versions of plugins, the Apache Ivy library must be present, in remote attack scenarios, to enable outbound requests from the Jenkins server. Additionally, either ‘Read’ or ‘Overall’ permissions must be enabled for resource access and, for unauthenticated exploit success, ‘anonymous’ access must be enabled with no restriction on functionality to anonymous users. With these conditions, a username and password need not be supplied. To exploit the vulnerability, an attacker sends a request to a Jenkins instance, hitting the ‘checkScriptCompile’ resource, supplying a key:value URI parameter of “value=$x” where $x could be either a simple integer (for recon purposes) or a full remote code execution (RCE) attempt. In both cases, a fully successful response returns a simple JSON “success” message. If successful, the above command to pipe to file, or indeed any malicious OS command, could be executed on a victim host. This causes the requirement in exploitation of a custom JAR containing both the malicious class and the archive structure “META-INF/services/” with the class name as a declared name within “org.codehaus.groovy.plugins.Runners”. At the time of writing, there is no assumption that this is the only mechanism by which to cause class instantiation; however, the URI resource as the targeted endpoint and the uniform success response is unchanging when attempting various types of payloads against a target host and so suggested signatures will reflect a wider scope allowing for potential variations within the mechanisms of attack described here. Generally, a deployment stack such as Jenkins should not be made publicly available to the internet, especially considering the sensitivity of the information and operation of such an environment. Where publicly facing endpoints are required, strict and timely patching policy will mitigate and reduce the time of vulnerable exposure to remote attacks. For this vulnerability, reduced permissions settings will compensate for a vulnerable host during the timeframe of a patching cycle, however this should neither be considered a fair nor reliable compensating control for future vulnerabilities given the importance of such a production stack and, further, Jenkins’ poor history with regard to critical vulnerabilities.